We are a group of women who are mothers and who are creative - we meet to share and support each other on alternate Friday mornings in term time in Leeds. 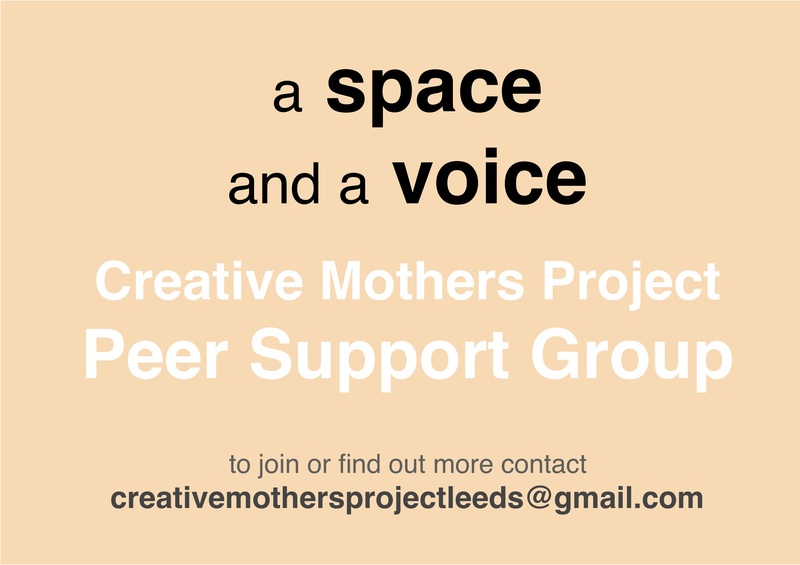 On alternate Friday mornings in term time we meet in Leeds to share and explore issues around motherhood, creativity, identity and much more. We don’t define creativity, or how our members express it - we simply acknowledge its value and exist to give women a space and a voice to share and explore personal experience, identity and creativity. This is an open group for anyone who identifies as a mother and as a creative individual. Women of any age with children at any stage are welcome to join. We meet without children but also run a sister group for women who attend with pre-school age children so drop us a line if you'd like to hear more about that. To join or find out more make a submission and tell us a little about yourself.